Financial industries and the global economy have experienced an array of ups and downs in the past decade. With some countries losing stability and others building themselves back up, it can quickly become unsettling guessing where the market may be at any given time. With the advent of blockchain and various coins (Bitcoin, Litecoin, and Dogecoin to name a few), the name of the game is changing along with the way we view currency and its overall value. 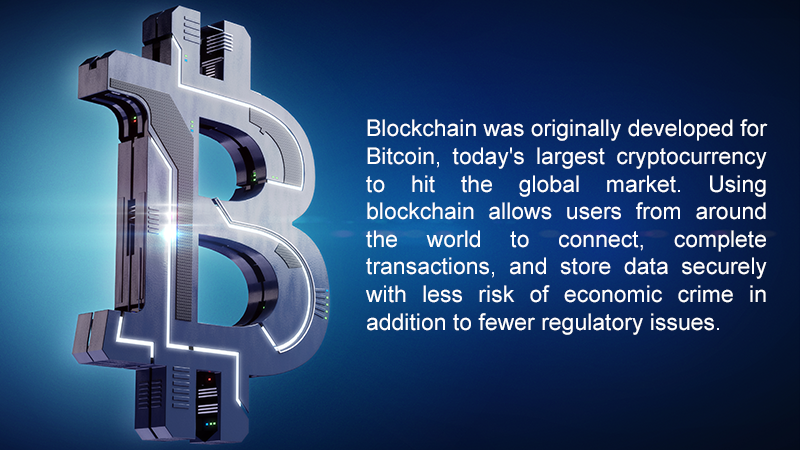 Blockchain was originally developed for Bitcoin, today’s largest cryptocurrency to hit the global market. Using blockchain allows users from around the world to connect, complete transactions, and store data securely with less risk of economic crime in addition to fewer regulatory issues. While most of our banking system today is centrist and controlled by large operations and the Department of State, blockchain opens the doors to more opportunities while providing participants with freedoms unheard of in the entire history of currency exchanges. 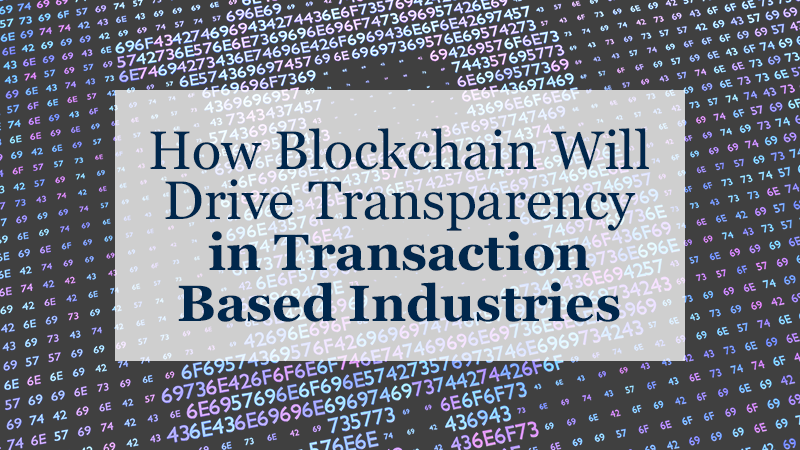 Blockchain not only handles transactions of coins and cash in real-time but it also useful for tracking data, storing information securely, and monitoring trends in various facets related to finances. How is Blockchain Influencing Specific Industries? While blockchain is a relatively new concept, it offers a myriad of benefits to industries ranging from oil and gas to mega-corporations such as Amazon. When blockchain originally appeared it was not taken seriously at face value — after all, individuals were attempting to create value out of what seemed to be “thin air.” However, with millions of investors and techies jumping onboard, the value of blockchain and all it has to offer has since skyrocketed. Integrating blockchain within industries such as oil, gas, electronics, and environmentally friendly organizations allows entrepreneurs, investors, and consumers alike to participate in the growth of specific areas they support with less risk economically and criminally. A major reason for the rise of blockchain is the ability to keep better track of finances, transactions, and the overall market of any given area. With less risk of insider trading, fraud, and white collar crime, the use of blockchain is predicted to continue its rise in success. Because of its trustworthy and efficient system, blockchain is becoming more and more appealing to professionals in a wide range of industries, especially those that generate millions, if not billions annually. By handing over the power of the financial market to anyone who is interested in it, the people now have more of a say in how currency is viewed, valued, and distributed. Using the power of blockchain is revolutionary for our current financial system and industry, which gives it most of its power and appeal in growth. Providing alternatives to banking and managing currency is changing the way we view the world and allowing people from all over the globe to take part in the massive ongoing shift. Contact us today at Starr & Associates to learn more about blockchain and how it may impact your future today!